The Need For Speed franchise hasn’t exactly been the smash hit it once was in the 1990s and early to mid-2000s. It’s seen many transformations over the years, but ultimately, it’s been a fall from grace. 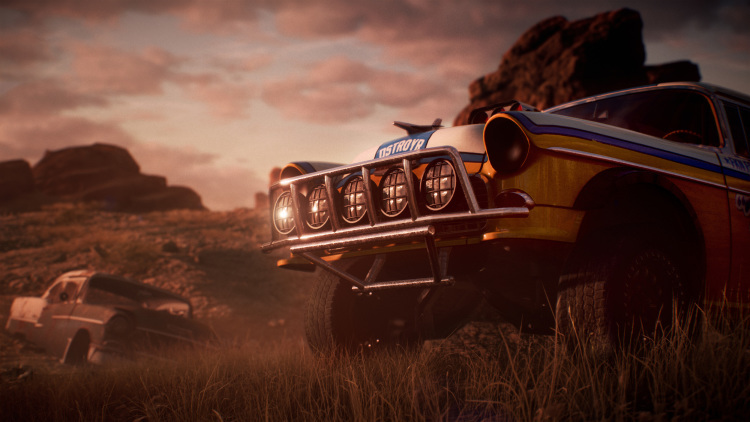 The franchise returned in 2015 after a hiatus to mixed reviews, and Ghost Games has debuted its follow-up amid plenty of hype: Need For Speed Payback. Forever known for its fast cars and big stunts, NFS Payback looks to double down on the formula with a new storyline inspired by familiar “Fast and Furious” plots. Three main characters are involved, who are working to take down a criminal organization called “The House.” The organization is said to control everything in Fortune Valley, the game’s backdrop. Through the game, players will take part in races, pursuits and something called “Car Battles.” We don’t know what that is yet, but it sounds kind of cool. Despite the new direction, there looks to be plenty of promise for old-school NFS fans. Customization looks more present than ever, judging from the reveal trailer. We can see a 1955 Chevrolet Bel Air restomod-esque vehicle built specifically for off-road racing. So, yes, that seems pretty customizable. Of course, there is the standard slew of tuner cars, modern muscle and exotics as well. It’s safe to say we’ll see a showing from the Chevrolet Camaro or C7 Corvette, too. Need For Speed Payback is slated to release on November 10, 2017, but in the meantime, check out the trailer above. Previous story Community Question: What Do You Want To See From The 2019 Chevrolet Silverado?